“No spacecraft has ever been this close to Saturn before. 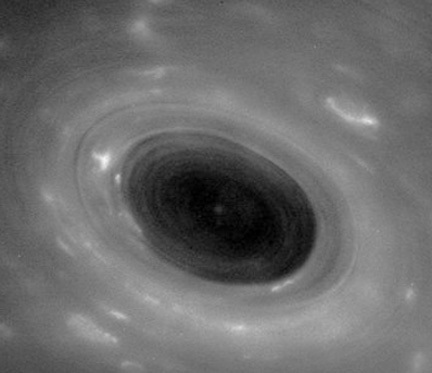 This unprocessed image shows features in Saturn's atmosphere from closer than ever before. The view was captured by NASA's Cassini spacecraft during its first of 22 dives between the innermost ring and the gaseous planet on April 26, 2017. Credit: NASA/JPL-Caltech/Space Science Institute. May 4, 2017 Pasadena, California - On April 26th, 2017, NASA’s Cassini spacecraft took a 70,000 miles per hour nose dive into the gap between the planet Saturn and its nearest thin ring of micron-sized dust. No Earth craft had ever flown between the innermost ring and Saturn itself.